Below are some key takeaways from the Corporate Director’s Forum event, The Empowered Board moderated by Gaylene Xanthopoulos. 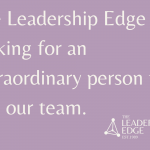 It is about individuals with the right skill sets. One key ingredient and an important factor in being able to make decisions is that board members need to know one another and trust one another. Understanding the industry is also critical. It is important to have the right board members. The people around the table should act like owners and have a stake in the company. Having skin in the game allows board members to think as an owner and demands fiduciary responsibility. 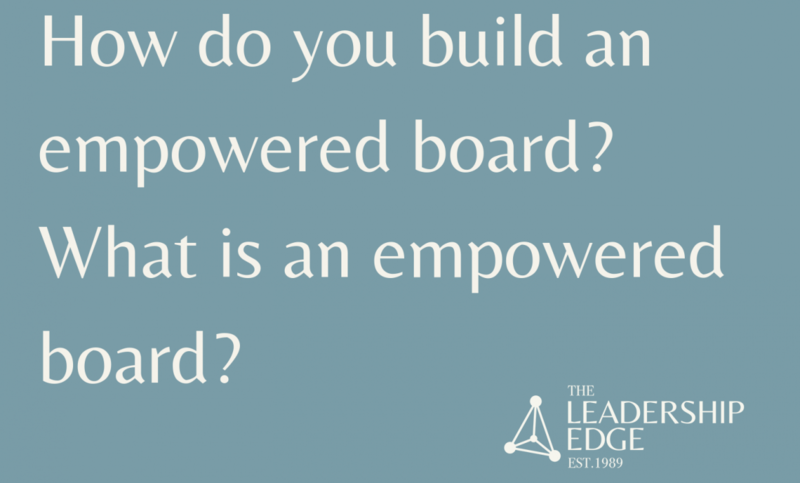 An empowered board demonstrates courage and has candid conversations. Good fiduciary responsibility means giving board members full access to the company. There are five things only a board can do and needs to do. If done well, it is empowered. Good chemistry among board members is important to be able to take these five steps. What is the right size and composition of the board? Smaller boards tend to have seven to nine members. Ten or fewer is generally a good number. Experience in the company’s industry sector is highly beneficial and often necessary. Third-party independent gap analyses of the skill-sets of the board can be very important. Diversity of experience is important. It leads to better decision-making, though arriving at decisions may take longer. The right number of board members and the right committees headed by the right people is critical. Board refreshment should always be a consideration. How do you really determine the right skills? What should we really consider? Diversity is important, and there are many business cases for this. There should be diversity of many different categories. Look for people who are interested in LONG-TERM shareholder value. Look for people who don’t shy away from making difficult decisions. Consider the industry and trends in the industry. Does it make sense to have younger board members based on the industry itself? Use a skills gap analysis to determine needs. How do you downsize a board? Frank and thorough board evaluations are critical and should be taken seriously. Evaluate yourself and other board members by name. Specify what you like / dislike about what each board member did and didn’t do, yourself included. Term limits are always a good idea. It allows for a clear process for board refreshment and keeps people engaged. Do regular inventory on a board’s skills mix and determine next steps. Are the skills keeping up with the market? 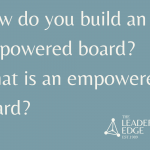 What keeps board members engaged? Create a lot of opportunities outside of the boardroom to create personal friendships and growth. How are you going to have chemistry if you are always talking about board decisions? If you are having your board meet 3-4 times a year for 4 hours, you are not going to have a bonded board. Continuing education is always a good idea. This applies to both general governance education and industry-specific education. Technology advances, for example, can cause massive disruptions in certain industries. It is important to stay on top of the advances and changes to remain relevant and plan for how it will influence your business and revenue model. While not all panelists agreed that age limits are a good idea, one mentioned a limit around 72-76 years of age. How do boards know their roles and responsibilities? Kick off each meeting with a “kitchen conversation” with CEO (without other management present) where everyone chats about what’s going on. Board and CEOs should create an agenda for the upcoming 3 quarters to ensure they are on track with goals. Boards need to be clear on their goals and expectations with new directors. Boards must be thoughtful of the gap analysis and fill roles appropriately. Where do the lines get blurred between Chairperson & CEO roles? Blurring generally occurs around M&A. Management should do the digging and the research, but the board should own the decisions made after analyzing the research. Term limits are a good thing and boards should institute them if they don’t have them in place. Ten years is a good limit. Boards should empower new directors: fully introduce them to the company and make sure they KNOW the company and they KNOW this is a job and for which they must be prepared. Board composition is important, as is board refreshment. Understand that it is not the role of the director to run the company. Understand that the “skill” of a director to act as an advisor is very valuable. Courage and curiosity are traits that make a great director.